Get optimal audio quality and stability—along with a discreet look—from a family of headsets with a unique three-point fit. 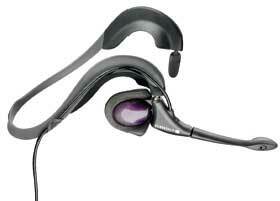 Talk in comfort with a headset that weighs less than one-half ounce and can be custom fitted with four sizes of earbuds. 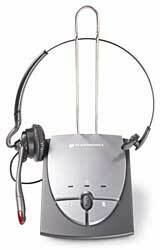 Take call quality to the next level when you add a Plantronics amplifier featuring Clearline™ audio technology. Make clearer calls thanks to a noise-canceling microphone that filters background noise. Work however you want—and always be heard clearly—with our most versatile headset ever. Choose your fit from over-the-ear, over-the-head and behind-the-head wearing options. Filter out background noise with the option of a noise-canceling microphone. Forget you are even wearing it thanks to an innovative double T-pad headband that rests on your head, not your ears, for ultimate stability and all-day comfort. 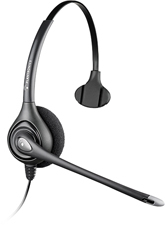 Bring hands-free convenience and comfort to your small business with this all-in-one headset plus amplifier system. Take control with simple, one-button volume and mute features. Hear callers clearly as the S12 filters out both phone-line and room noise. Avoid interruptions with the Firefly® in-use indicator that lets others know you are on the phone. Choose your style from over-the-head or over-the-ear wearing options. Get universal compatibility on any phone, with or without a headset port. Make clearer calls thanks to a noise-canceling microphone that filters background noise. The Mirage headset is stylish and unobtrusive, with a sculpted shape that fits perfectly behind either ear, eliminating the need for a headband. It is so light, you hardly know it's there. 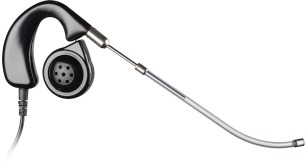 For added comfort, a receiver that swivels at a touch, rests lightly on the side of the ear. Convenient Quick Disconnect™ feature lets you walk away from your phone while still wearing your headset. The Mirage headset is stylish and unobtrusive, with a sculpted shape that fits perfectly behind either ear, eliminating the need for a headband. It is so light, you hardly know it's there. For added comfort, a receiver that swivels at a touch, rests lightly on the side of the ear. 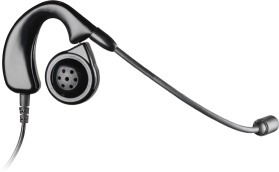 The Mirage earloop-style headset with superior voice tube technology and Convenient Quick Disconnect™ feature lets you walk away from your phone while still wearing your headset.